Taylor Higginbotham breaks the school scoring record, surpassing Emily Clemens. FORT WAYNE, Ind. 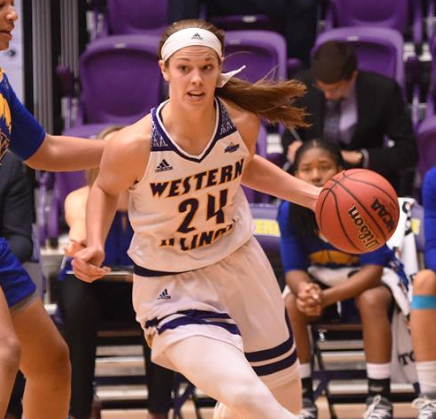 — The Western Illinois women’s basketball team traveled to Fort Wayne on Wednesday to take on the 6-17 (2-9) Purdue Fort Wayne University Mastodons. The Leathernecks improved to 7-4 in the Summit League and 11-13 overall, after their 90-61 beat down of the Mastodons. Sophomore Danni Nichols put the Leathernecks up 6-2, scoring six of her 17 points just 3:57 into the game. Fort Wayne went on a 5-2 run in 55 seconds to cut the deficit, 8-7. They wouldn’t get any closer than that, as Western went on an 11-2 run and took a 19-9 lead into the second quarter. Scoring wise, the second quarter was almost the exact same as the Leathernecks doubled the Mastodons 18-9 and took a 37-18 into half time. The third quarter was the most competitive, but the Leathernecks still outscored Fort Wayne by three. They took a 22-point lead into the fourth and the game was all but over at this point. Senior Taylor Higginbotham scored six of her 16 points and lead the Necks in scoring in the third. 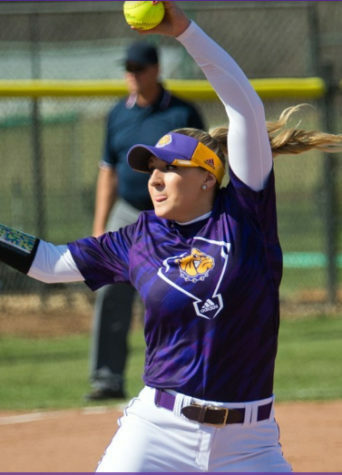 The Leathernecks exploded in the fourth, outscoring Fort Wayne, 31-24. The 29-point blowout was the biggest margin of victory in the Summit League this year for the Necks. Along with Higginbotham and Nichols, juniors Olivia Kaufmann and Kyra Washington scored in double digits. Kaufmann led the team with 20, and Washington scored 11 off the bench. The Mastodons also had four players score in double figures but were outscored 29-4 by the Leatherneck bench. Western has now won six out of their last seven games, moving them up all the way to third in the Summit League. On Sunday, Higginbotham surpassed her former teammate Emily Clemens in the most points scored in school history with 1,715 points. She also earned Summit League player of the week, her second nomination of the year and becoming the second player this year to receive the award twice. Western will travel to Omaha to take on the University of Nebraska Omaha Mavericks. The Mavericks season hasn’t gone as planned up to this point. They are 7-16 overall and are at the bottom of the basement in the Summit League with a 1-9 record. Omaha just suffered their worst loss of the year, 78-33 to first place South Dakota. Both teams met back on Jan. 16 in Macomb in their first meeting. Western won 78-70. The Necks dominated the first three quarters, outscoring the Mavericks, 62-40. However, they let them back into the game making the game interesting, but still came up on top. The players to watch from Omaha are freshman Josie Filer, who is third in rebounding, averaging 7.7 a game. Senior guard Kalen Phillips scored 25 points off the bench against the Leathernecks in only 19 minutes played. For Western, Higginbotham, Kaufmann and Annabel Graettinger combined for 56 of Western’s 78 points. The Necks are looking to win seven out of eight games. 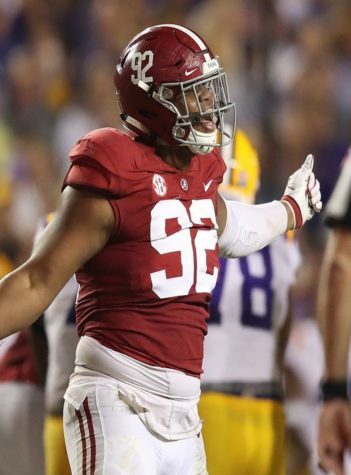 Even though they had a slow start to the season, they are getting hot at the right time and making a push for the postseason.